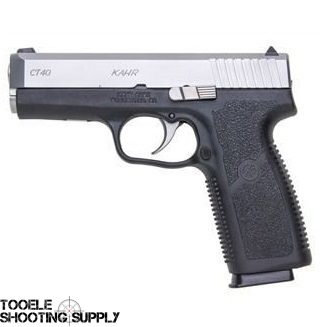 Kahr took the best features of their TP-series and with ingenuity and their meticulous dedication to quality and detail, they developed the CT Series. The CT4043 features a full-size polymer frame with a stainless steel slide and white bar-dot sight configuration. This pistol features a 4 barrel, overall length of 6.5 , height of 5.13 and a slide width of .94 . It weighs just 21.8 oz. with the magazine, making it very slim, lightweight and perfect for concealed carry.